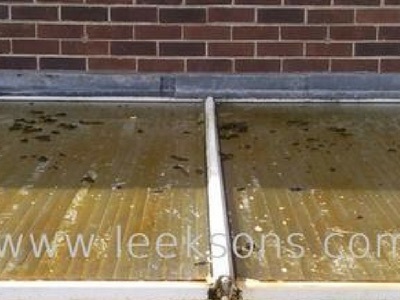 Leeksons Professional Cleaning Services offer a professional conservatory cleaning service. We offer this service to both domestic and commercial customers. We have had many years experience cleaning conservatories and have developed the best way of cleaning them, using low pressure and fast acting soaps, chemicals and degreasers to ensure the area is cleaned to it’s maximum potential. We clean insides as well as outsides . 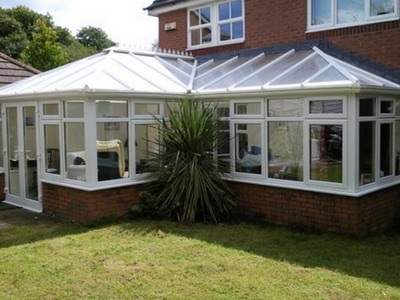 What are the benefits of professional conservatory valeting/ cleaning? • Regular cleaning will help reduce the likelyhood of leaks and general deterioration. • For businesses – it will help to give the right impression to those visiting your premises. The conservatory below was left for several years without being cleaned. 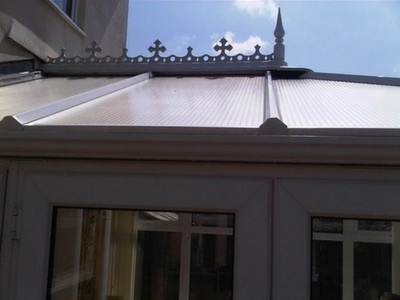 The owner could not reach the top of the conservatory and did not have the right equipment of knowhow. 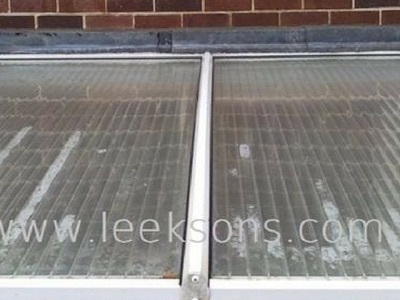 We at Leeksons cleaned the whole of the outside of the conservatory from the finials at the top down to the floor. When we finished, the conservtory looked like new. We carried out all the cleaning from the floor, or using short ladders. WE DO NOT CLIMB ON THE CONSERVATORY! The conservatory roof below is one of the smallest we have cleaned. The algae on the roof had made the conservatory dark inside. We treated the alage, then cleaned it for our customer. The owner was very happy with it. How will you get to the top of our conservatory? Using ladders, professional water-fed-poles and in some cases scaffolding we can access your conservatory safely. We will at no point walk in top of your conservatory. Will you use high pressure cleaning? No. Using high pressure cleaning can damage seals and let water into your conservatory. The methods we use all involve low pressure cleaning. The pressure we use is the same as a standard outside tap. 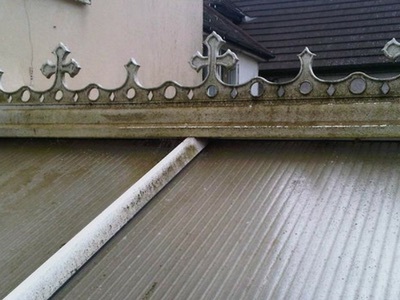 If need be, we may use a low pressure wash to clean the finial on top of the conservatory. The price depends on variety of things such as size, location, how dirty it is, amount of lichen, height and shape. We can either arrange a time to meet you at your house, or you can send us a photo and your address to richard@leeksons.com and we will send you an accurate quoatation back as soon as possible. Will I need to be there when you carry out the work? To clean the outside, all we need is a water source i.e. outside tap. If you are having the inside of your conservatory cleaned also, we will need to gain access to the inside of your conservatory. Can you remove nicotine from the inside of the roof? Yes we can. If there is nicotine on the underside of the conservatory roof furniture will need to be removed from the conservatory before the work begins. We can do this for you also. We use specific soaps and chemcials to loosen the nicotine, then clean the whole area. Will the windows get dirty during the cleaning process? It is likely that they will. That is why we include window cleaning in our basic package to ensure your property is left in top condition. Although we are based in South Wales, we have a wide network of contacts throughout the UK. Please contact us to see if we have a contact near you.